Acoustically-pumped optical isolators on an aluminum nitride chip. Exploring chiral physics in ultra-high Q whispering gallery resonators. Microwave implementation of quadrupole topological insulator. Photograph of fluid meniscus in an ultrahigh-Q opto-mechano-fluidic resonator (OMFR). Artist visualization of Raman Cooling of a silicon photonic crystal. Visualization of slow, fast, and stopped light in Brillouin Scattering Induced Transparency. The Bahl Research Group performs experimental research at the interface between optical and mechanical systems. Of particular interest are the mechanisms by which light interacts mechanically with photonic microdevices (i.e. via radiation pressure, gradient force, electrostrictive pressure, and photothermal effects), and how mechanical devices can affect and manipulate light. We are always on the lookout for graduate and undergraduate researchers with background in the following topics -- electromagnetics, photonics, microfabrication, material physics, nonlinear optics, MEMS and NEMS, and circuit design. Experimental experience is strongly preferred. Interested students must already be admitted to UIUC and should contact Prof. Bahl with a complete CV highlighting relevant experience. Each year, the December issue of Optics & Photonics News - the monthly magazine of The Optical Society - highlights the most exciting optics research to emerge in the preceding 12 months. Our work on "Breaking Optical Symmetry with Sound" was selected this year for Optics in 2018! PhD season wraps up with JunHwan successfully defending his thesis! Yinchung successfully defends his thesis! Second of three. PhD season begins with Seunghwi successfully defending his thesis! Gaurav is formally promoted to Associate Professor with tenure. Kitt and Seunghwi's paper on nonreciprocal coupling appears in Science Advances. Kitt is selected as a Mavis Future Faculty Fellow for 2018-2019. Seunghwi was recognized as a Distinguished Graduate Student in 2017 by MechSE. Congratulations! Our paper on the demonstration of a quadrupole topological insulator has appeared in Nature. Feature articles on this work appeared in Gizmodo and by the Illinois News Bureau. Gaurav is awarded a 2018 Dean's Award for Excellence in Research. Benjamin's paper on breaking time-reversal symmetry with sound waves appears in Nature Photonics and is featured as the Feb 2018 journal cover! Articles on the work were written by the UIUC News Bureau, and in Nature Photonics News & Views. We are now developing mechanical transmitter technologies as part of a multi-group collaboration funded by DARPA. Seunghwi's paper on chiral optomechanical cooling and disorder suppression appears in Nature Communications. The work is also featured by the UIUC College of Engineering. Congratulations to Dr. Inbar Grinberg on winning postdoctoral fellowships from both the Zuckerman STEM Leadership Program and the Israel council for higher education. Congratulations to Kewen on winning a 2017 Chinese Government Award for outstanding students studying abroad. Congratulations to JunHwan and Seunghwi on getting their paper on achieving complete optical isolation published in Scientific Reports! The work was also featured by the College of Engineering. The College of Engineering recognizes numerous young faculty awards netted by our faculty. Congratulations to (nearly Dr.) Kewen Han on passing his PhD defense! Gaurav has won a ONR Director for Research Early Career grant ($1M) to pursue experimental research on reconfigurable microwave and acoustic nonreciprocal systems. Seunghwi's paper on dual optical densities of states on Brillouin cooling appears in Optics Express. The work demonstrates operation close to strong coupling and saturation of Brillouin cooling. Jeewon's paper in APL Photonics presents the fastest fly-by optomechanical particle sensor to date, capable of speeds exceeding 30,000 particles/second. Yinchung and Seunghwi reveal the regimes of operation of Brillouin cooling in linear waveguides in the New Journal of Physics. The work of our EFRI teammate (Prof. Steven Cummer, Duke) is featured as part of the National Science Foundation #waveweek series. Our opto-mechano-fluidics research is featured on the cover of the June 2016 edition of Optica. Our paper on High-Throughput Sensing of Freely Flowing Particles with OptoMechanoFluidics is published in Optica! Kitt Peterson's fantastic outreach efforts with middle-school children are featured in I-STEM and MechSE Today. Kitt taught students how to design and 3D print their own keychains! Congratulations to Christopher Peterson for winning a National Science Foundation Graduate Research Fellowship for 2016. Our group continues to maintain its 100% success rate on this program with three fellowship recipients till date! Our group has won a DURIP award from AFOSR to build a telecom wavelength Raman spectrometer! Congratulations to Kewen for winning a 2016 Yee Fellowship from the College of Engineering! Congratulations to Kewen for being honored by MechSE as a Distinguished Graduate Student for 2015! Congratulations to Seunghwi and Yin-Chung on passing their qualifying exams! Multiple updates! -- Nathan and Seunghwi's paper on Giant Gain Enhancement in Surface-Confined Resonant Stimulated Brillouin Scattering is accepted for publication in Laser & Photonics Reviews. Gaurav's chapter on Microfluidic Optomechanics for the 2015 edition of the Encyclopedia of Nanotechnology is also accepted. Gaurav celebrates 5 years since receiving his PhD. Our paper on Raman Cooling of Solids through Photonic Density of States Engineering is accepted for publication in Optica. Congratulations to Jafir for winning an undergraduate research grant from the MechSE Society of Engineering Mechanics. Benjamin Sohn was awarded a National Science Foundation Graduate Research Fellowship. Congratulations on this fantastic achievement! Non-Reciprocal Brillouin Scattering Induced Transparency appears in Nature Physics. Congratulations to the team and to our collaborators from Oregon. Gaurav wins the AFOSR Young Investigator Award (YIP) for proposed work on Chip-Scale Linear Non-Reciprocal Optomechanical Systems. Several major victories for Illinois Engineering. Benjamin's outreach efforts with students at the Dr. Howard Elementary School in Champaign are featured on I-STEM. Gaurav Bahl, Benjamin Sohn, Shengtai Shi, and Joseph Muskin spent the week at University of Illinois Laboratory High School working with Sharlene Denos and her class on resonant optomechanical sensors. It's been a good summer with papers in Journal of Visualized Experiments, Applied Physics Letters, European Physical Journal, and Scientific Reports! Good work team! Congratulations to Nathan for winning the NSF Graduate Research Fellowship! Congratulations to Kewen and JunHwan for their Optics Express paper on multimode aerostatically tunable optomechanical oscillators. Nathan's educational activities with 4th graders at Stratton Elementary school are featured in the MechSE weekly news and on the I-STEM website. Optics in 2013: "Bridging two worlds: Microfluidic optomechanics" appears in OPN Magazine December 2013 issue (pg. 39). This issue of the monthly magazine of The Optical Society highlights the most exciting optics research to emerge in the preceding 12 months. "Cavity optomechanics on a microfluidic resonator with water and viscous liquids" appears in Light Science & Applications . Kyu Hyun Kim's paper on Microfluidic Optomechanics is a winner of the Emil Wolf Outstanding Student Paper Competition at Frontiers in Optics 2013. Optics in 2013! Each year, the December issue of Optics & Photonics News - the monthly magazine of The Optical Society - highlights the most exciting optics research to emerge in the preceding 12 months. Our submission on Microfluidic Optomechanics has been selected this year! Kewen's first conference paper on multi-mode optomechanical pressure sensing is accepted to Frontiers in Optics 2013. Congratulations! "Brillouin cavity optomechanics with microfluidic devices" appears in Nature Communications. The work is featured on Phys.org, OSA.org, and UIUC College of Engineering. Our research on Brillouin cooling is highlighted in Nature Photonics, Vol. 7, 348-349 (2013) in article titled View from... 2013 Photonics West: Solid cooling. Our work on Brillouin cooling is featured in the OSA Optics and Photonics News "Optics in 2012" issue which highlights the most exciting optics research to have emerged in the past 12 months. New course offered: ME498-PM4 Photonic MEMS. Read more. 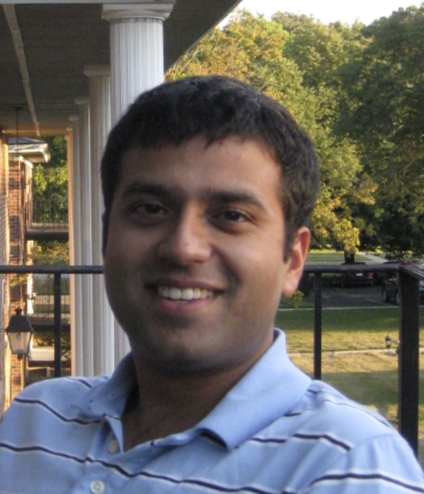 Gaurav will start as MechSE faculty at UIUC in Fall 2012! "Observation of spontaneous Brillouin cooling" appears in Nature Physics. Our work on Brillouin cooling is featured in Nature Physics News & Views! Click here for Publications page.